Thank you for visiting The Good Luck Oil Company Online Museum and Virtual Store, Purveyors of Unique GLOCO Collectibles, Gifts, and Souvenirs. The World&apos;s Largest Collection of rare GLOCO Signs, Artifacts, and Photos. 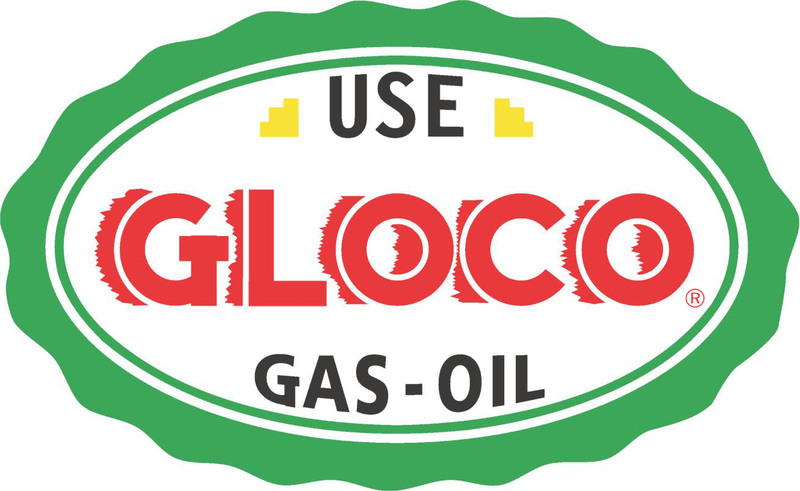 Good Luck Oil Co. AKA (GLOCO) History Since 1931 > Founder Amous Wilemon started his business with a $600 loan from his aunt. He rented an old gas station on Maple Ave near Downtown Dallas that had a Old Mule Shoe hanging above the door. That&apos;s where the idea to name the station Good Luck Service came from. He Opened for Business, Provided Excellent customer service, plus his Unique Advertising Campaign. And the rest is History! Good Luck Service was a Discount Gas chain, The RACETRAC of its day. His brothers, Famous and Foy, also worked at the station in the beginning. They had the most popular chain in town because of the Low prices and Great locations, with Fast Old Fashion customer service. They had their own Tanker Trucks, and hauled Oil and Gas back from The East Texas Oil fields, the Saudi Arabia of America. At its peak, there were 53 GLOCO stations serving DFW. Three of which were of the Unique and Beautiful Art Deco Style. They were each a little different from one another, but mostly similar. The first one opened in the winter of 1939, at 904 Cadiz Street Dallas TX 75215 (on the corner of Lamar) Truly a Roadside Attraction. Each station had a pole number, with this station known as pole number 5. Two more were to follow, all on the edges of the CBD (Central Business District), all three designed by Amous Wileman, both of which are now torn down. Only the first one remains. It is one of the Finest Examples of an Art Deco gas station in the World. Although it is no longer a gas station, it stands as a proud monument to the legendary Texas oil man, Amous Wileman, who built and operated it, and to the Texas oil and gas industry. The Legendary Good Luck Oil Co. (GLOCO) Story is a Major part of Texas Oil and Gas History. It operated as Texas&apos; Largest Independent Discount chain. To Collectors, The once Obscure, Oddball Brand, is now Very rare, Unique, and Highly Collectible, Especially to those who collect Texas brands. GLOCO is a True Texas Original. Now, there is only one GLOCO gas station operating today, on Commerce Street in Oak Cliff, right outside of Downtown Dallas. Stop by and get some gas the next time you pass by. It&apos;s at 332 W Commerce Street Dallas TX 75208 at Haslett. Why pay More? Use the Best and Save! / More Go for Less Doe - GLOCO! The Good Luck name came into being during the Depression. The year was 1931 and my grandfather, Amous Wilemon, was unemployed and looking for work. He had noticed an old run down gas station that was being operated by an old man that liked his beer more than he liked to work. My grandfather watched for several days, across the street from the old station, and noticed that they were in and out of the business. He also noticed the lack of service the customers were receiving. He approached his brother, Foy, who was a Highland Park fireman, about joining him in business. He promptly sold his car, then he got a small loan from an aunt, and the Good Luck Service Station was born. My grandfather told me the story many times, of walking in the door of the station for the first time, and looking up over his head, and noticing a horseshoe over the door. He knew immediately what the name of his business would be; Good Luck Service Station. He always would laugh, and say that it was really a Mule Shoe over that door, and not a horseshoe, and that seemed most appropriate, considering his stubborn determination to make a success of this business. He was also determined to give his customers the best service in Dallas, which he considered the most important factor in a retail business. He went on to develop the name GLOCO, Which stood for Good Luck Oil Co. He and his brother had also begun to refine and market their own brand of oil. You can come across old oil cans with the logo in some out of the way junk or antique stores, in the Dallas and Ft. Worth area. His business, and Dallas, grew up together through the 40&apos;s, 50&apos;s and 60&apos;s, when service was King, and he wore the Crown. My grandfather died in 1995, at the age of 88, but the Good Luck name lives on, and so does the service that he taught us was the key to customer satisfaction. Over the years, Many Famous Celebrities, Bands, and Folks from all over have stopped at Good Luck Service Stations - GLOCO. There are so many Great Memories and Stories from the past.